Prominent & Leading Manufacturer from Mumbai, we offer reducing flanges, sorf flanges, forged flanges, weld neck ring joint flanges and super duplex flanges. 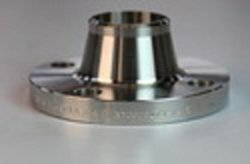 Astec Inc. manufacturer of Reducing Flanges in many grade and sizes.This Reducing Flanges uses in chemical plants, fertilizer industry, pipe pumping plants etc.We widely export flanges to many countries.Product Details:All flanges are according to international standards: ASME – DIN – EN 1092-1 – BS – NF – UNI – AFNORGrades: Stainless Steel Flanges, Carbon Steel Flanges, Alloy Steel Flanges.Type: Weld Neck Flanges, Blind Flanges, Long Weld Neck Flanges, Socket Weld Flanges, Slip On Flanges, Lap Joint Flanges, Threaded Flanges, Plate Flanges.Range: 1/2 ” (15 NB) to 48″ (1200NB)Flanges Class: 150#, 300# , 400#, 600#, 900 #, 1500#, 2500.ANSI STANDARD FLANGES, DIN STANDARD FLANGES, BS STANDARD FLANGESOthers Flanges: Duplex Flanges, Monel Flanges, Nickel Flanges, Inconel Flanges, Copper Flanges, Titanium Flanges, Hastelloy Flanges etc.Features: Plate cuttingEasy to installOptimum strengthAll slip on flanges materials available with test certificate.Materials are marked with it lot no. grade and sizes.Standard packing so damage occurs. 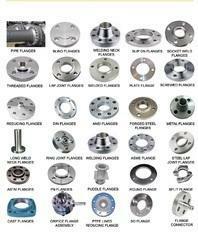 Kindly contact us if you have any requirement in slip-on flanges. Astec Inc. manufacturer ofSORF Flanges in many grade and sizes.This SORF Flanges mainly uses in chemical plants, fertilizer industry, pipe pumping plants etc.We widely export flanges to many countries.Product Details:All flanges are according to international standards: ASME – DIN – EN 1092-1 – BS – NF – UNI – AFNORGrades: Stainless Steel Flanges, Carbon Steel Flanges, Alloy Steel Flanges.Type: Weld Neck Flanges, Blind Flanges, Long Weld Neck Flanges, Socket Weld Flanges, Slip On Flanges, Lap Joint Flanges, Threaded Flanges, Plate Flanges.Range: 1/2 ” (15 NB) to 48″ (1200NB)Flanges Class: 150#, 300# , 400#, 600#, 900 #, 1500#, 2500.ANSI STANDARD FLANGES, DIN STANDARD FLANGES, BS STANDARD FLANGESOthers Flanges: Duplex Flanges, Monel Flanges, Nickel Flanges, Inconel Flanges, Copper Flanges, Titanium Flanges, Hastelloy Flanges etc.Features: Plate cuttingEasy to installOptimum strengthAll slip on flanges materials available with test certificate.Materials are marked with it lot no. grade and sizes.Standard packing so damage occurs. 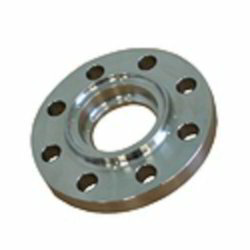 Kindly contact us if you have any requirement in slip-on flanges. We an Astec Inc. manufacturer and exporters of Forged Flanges in all grades.We also have many other types of flanges.We also deal in duplex steel flanges, titanium steel flanges, carbon steel flanges.Our team of experts utilizing high-quality material and best techniques in compliance with the norms of the industry with competitive rates. Product Details: Type: Weld Neck Flanges, Blind Flanges, Long Weld Neck Flanges, Socket Weld Flanges, Slip On Flanges, Lap Joint Flanges, Threaded Flanges, Plate Flanges.Range: 1/2 ” (15 NB) to 48″ (1200NB)ANSI STANDARD FLANGES, DIN STANDARD FLANGES, BS STANDARD FLANGESGrade: Stainless Steel Flanges, Carbon Steel Flanges, Alloy Steel Flanges.Others Flanges: Duplex Flanges, Monel Flanges, Nickel Flanges, Inconel Flanges, Copper Flanges, Titanium Flanges, Hastelloy Flanges etc.More Type: TyOrifice Flanges, High Hub flanges, Weldoflange, Nipoflange, Nozzles, Screwed Flanges, Ring Joint Flange, Reducing Flanges.Features: Plate Cutting by CNCPlate BendingProfiled steel rollingKindly contact us if you have any requirement stainless steel blind flanges. Fostered with an enormous business understanding of this realm, we are involved in presenting a broad consignment of Weld Neck Ring Joint Flanges. These are processed under the leadership of skilled professionals using avant-garde technology. Well-liked for their high quality, these are as per the industry quality guidelines. All flanges are according to international standards: ASME – DIN – EN 1092-1 – BS – NF – UNI – AFNORPressure classes: ASME from 1.500 psi to 20.000 psiExecution: Threaded and Socket Weld.Type: Weld Neck Flanges, Blind Flanges, Long Weld Neck Flanges, Socket Weld Flanges, Slip On Flanges, Lap Joint Flanges, Threaded Flanges, Plate Flanges.Range: 1/2 ” (15 NB) to 48″ (1200NB)Materials: ASTM A105; ASTM A350 LF2,LF3,LF6; ASTM A694 F42,F52,F60,F65;ASTM A 182 F11 F22 F304 F304L F316 F316L F50-61; ASTM SA 182 F51, F53, F55, C2276, C22, B2Flanges Class: 150#, 300# , 400#, 600#, 900 #, 1500#, 2500 #, ASA 150, ASA300, PN 6, 10, 16, 25, 4, 64, 100, 160 ETC. AVAILABLE NACE MR 01-75ANSI STANDARD FLANGES, DIN STANDARD FLANGES, BS STANDARD FLANGESStainless Steel Flanges, Carbon Steel Flanges, Alloy Steel Flanges.Others Flanges: Duplex Flanges, Monel Flanges, Nickel Flanges, Inconel Flanges, Copper Flanges, Titanium Flanges, Hastelloy Flanges etc.More Type: Tyorifice Flanges, High Hub flanges, Weldoflange, Nipoflange, Nozzles, Screwed Flanges, Ring Joint Flange, Reducing Flanges.Features:Optimum qualityImpeccable finishLong lastingKindly send us the requirement of Stainless Steel Long Weld Neck Flanges the best rates and quality material is here. We are one of the leading exporters, wholesalers, and traders, engaged in offering a wide range of Super Duplex Flanges. These are sourced from certified vendors, who ensure us for the finest quality and uninterrupted performance of these devices. Our devices are made from optimum quality components and following world class standards. These are acknowledged for their accurate dimensions and durable performance.